What does one write about a book that inspired the famous Metallica band to write a song about it?! Without question, this is going into my "Fave Books of All Time" pile. A glimpse into the brain of a war survivor who lost all but his torso, written in a stream-of-consciousness style that goes so well with what such a man might have racing through his mind. And this is done so expertly that it took no extra effort on my part to read this unusual style of writing. Genius. It reminded me of The Jungle a little in that both books look so deceptively short and thus fairly straightforward. And both may fit the former description, but they're far, FAR from straightforward. Not a simple facet to them. It's one of those books that should be on everyone's Read Before I Die list. Awesome. 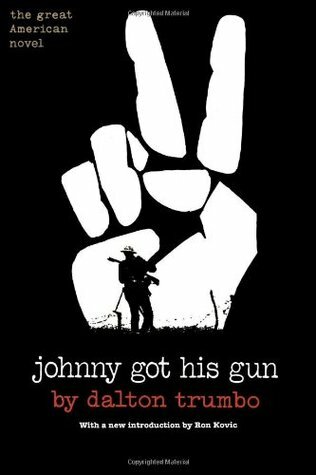 Sign into Goodreads to see if any of your friends have read Johnny Got His Gun.